Assumption College English Department, Modern & Classical Languages & Cultures Department, Core Texts & Enduring Questions Program, HumanArts, and Office of the Provost. 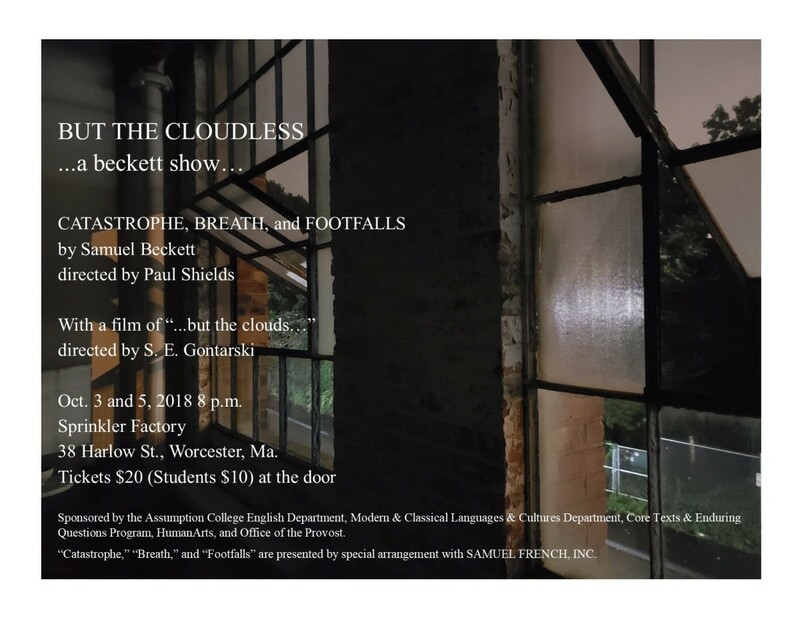 With a film of "...but the clouds..."
Samuel Beckett scholar S. E. Gontarski will conduct a Q&A with the audience after the show. "Catastrophe," "Breath," and "Footfalls" are presented by special arrangement with SAMUEL FRENCH, INC.